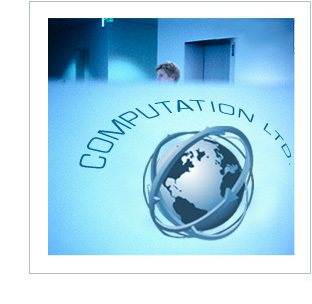 Computation offers a full range of services for home users, businesses and network administrators. Whether you require design and installation of a computer or network, repair of a damaged laptop, or upgrades or regular maintenance to existing computers and networks, we can meet your needs in a friendly, timely and professional manner in your home, at your workplace or in our shop. Our extensive and diverse expertise in the MS Windows, Mac, and Linux platforms enables us to offer you a breadth of services that few IT firms can match. Computation - Going Green for Green - Computer (e-waste) Reuse and Recycling"
Earthly matters: Rethink the quantity of garbage and the amount of hydro we use." "How Old Computers Pose Environmental and Security Risks"
Old computers pose environmental and information security risks. Computation's Computer Tips, Tricks, and Maintenance Seminar in Toronto! G4 TechTV - Call For Help - "Minding Your Business"
Earth Week -- Community Computer Recycling Event in Toronto! "They bury computers, don't they?"